After a trail run today, Leslie and I picked 19 American Dog Ticks (dermacentor variabilis) off of Angus. We found some crawling on us, which we assumed came from Angus, and are included in that number, which is one shy of the record 20 I pulled off of Glenna after a hike a few years ago. I assume that anyone hiking with a dog in the spring knows the drill: caress the fur with heightened fingertip sensitivity, feel for little flat bumps on the skin, and then quickly extract the little nuisances and flush them down the toilet. At least that’s what we do with them. Then we spend a couple hours imagining they’re crawling around in our shorts or on our scalps or in our armpits. I went googling for info on ticks because I couldn’t imagine any good their existence provided the world. Even worse than mosquitoes, which I know at least provide a food source for trout, ticks just seem like pure badness. They’re creepy, they’re parasitic, and they spread some really horrible diseases, not unlike investment bankers, politicians, lawyers, and crooked CEOs. If it’s permissible to put a value judgment on an insect (debatable), ticks are good because they help control the rodent population. That’s about it. The bad things they do are more interesting. When a tick pays for my medicine, doctor and emergency room bills, I’ll think about “save the ticks.” I have Lyme Disease. I know what a Neurologist is. I know what an epileptic seizure is. I know more medications than I should. I sometimes have a hard time walking to get my morning newspaper. I haven’t run in 4 years. I can’t SCUBA, Frisbee, sail alone, ski, walk on boulder jetties, drive (without a lawyer), I golf like a loser, can’t throw a (base, foot, snow)ball without falling. I have vertigo, I can’t climb a ladder; I used to climb a mast on a sailboat underway to change a lightbulb. I lost my “sea-legs.” I lost my Captain’s License, driver’s license is in perpetual limbo. Have a “spaz” lose a license. Sometimes I use a cane. Part of running around is risk. I got whacked… I’ll be an adult and NOT sue someone. I’ve been beaten, stabbed, robbed, left-for-dead, shot at… Lyme scares me the most. There is nothing I can do now. 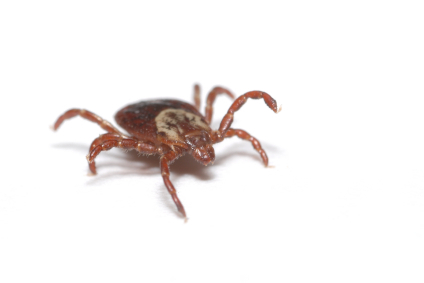 Ticks spread other diseases, too, such as Rocky Mountain Spotted Fever, anaplasmosis, tularemia, and – my personal favorite – 364D Rickettsiosis. None of these are any fun. The key is removing the tick before they have a chance to get deep into their feeding cycle, which sometimes takes over 24 hours. I read that as many as 50% of the ticks out there carry one of these diseases, some of which are species specific. American popular culture has a fascination with strange and gross things. Ticks pop up here and there. There’s a cartoon I watched on Saturday mornings back in my thirties. 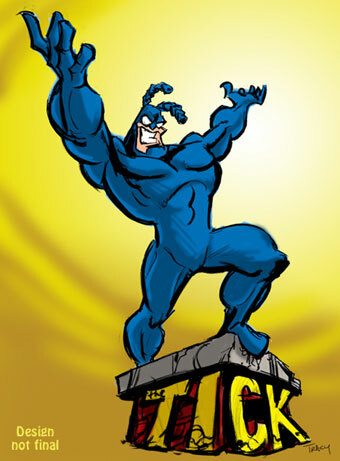 It’s called The Tick, of all things, and was based on a comic book character and spawned an even weirder TV series starring the guy who played David Puddy on Seinfeld (Patrick Warburton). Then there is the 1993 horror film Ticks, which marketed itself with the line, “It’s not nice to mess with mother nature.” Do me a favor and don’t see it. Do me a favor and do listen to “The Ticks” girl band if you want to run screaming from your computer. And do your dog a favor and get those ticks off of him or her before they do some serious damage.